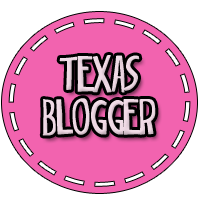 I’ve got another weekend project for you and this actually only took a weekend to complete! Woohoo! 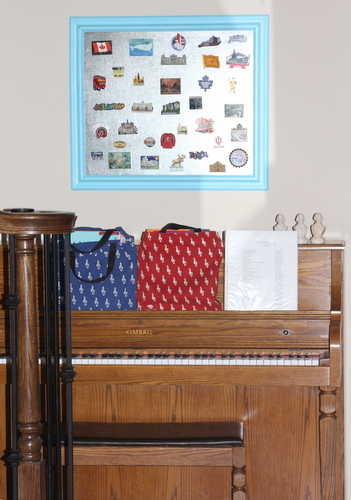 The last weekend project culminated in completing this magnet board above our piano. I went ahead and worked on another project and here’s the piano area now. 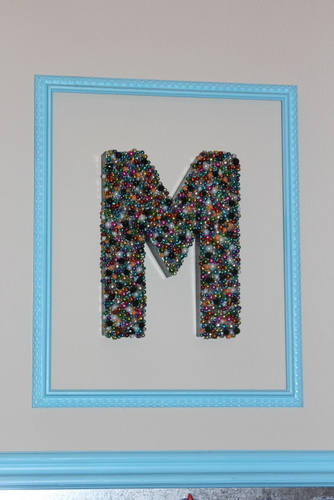 I took a $1 garage sale frame and spray painted it the same color as the magnet board. I then asked my husband to hang the empty frame on the wall. Weird disgusted look sent my way. 1) Drive to New Orleans during Mardi Gras and collect a lot of beads. 2) Look at huge bag of Mardi Gras bag of beads in your closet for months and wonder what you are going to do with all of them. 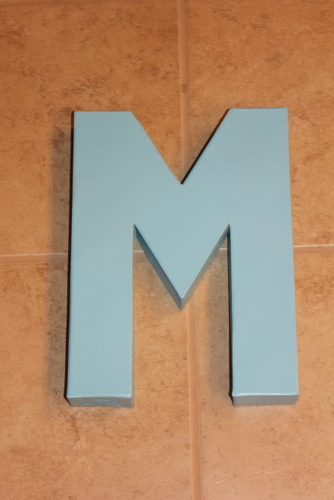 3) Buy a cardboard “M” at JoAnn’s with a coupon for $1.50 and spray paint it. 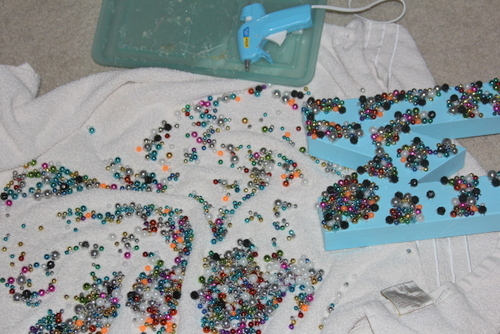 4) Cut strands of beads into individual beads. 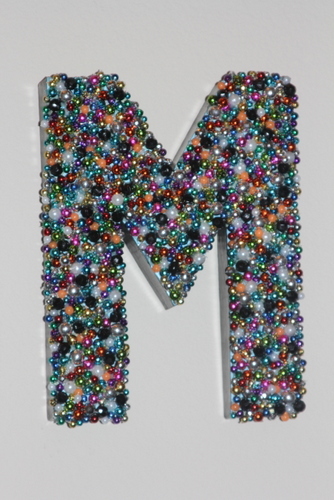 5) Hot glue the beads on while watching 10 DVR’d episodes of The Middle. 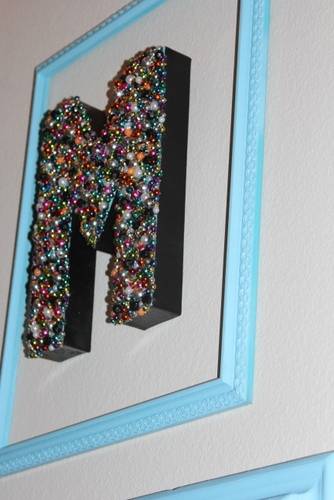 6) Paint the sides black because you are tired of gluing beads onto the “M” and you just want to get done with the project. 2 projects down, countless to go! 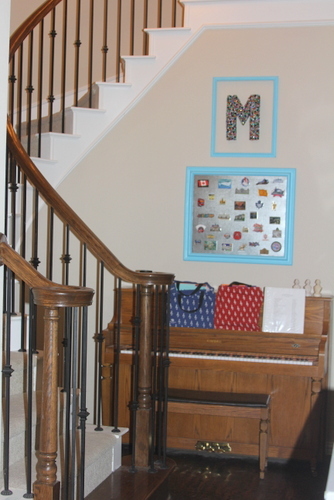 This entry was posted in art work, budget, house projects, husbands. Bookmark the permalink. Love, love, love the beads! What sparkle!